"You have to be taught to be second class; you're not born that way." 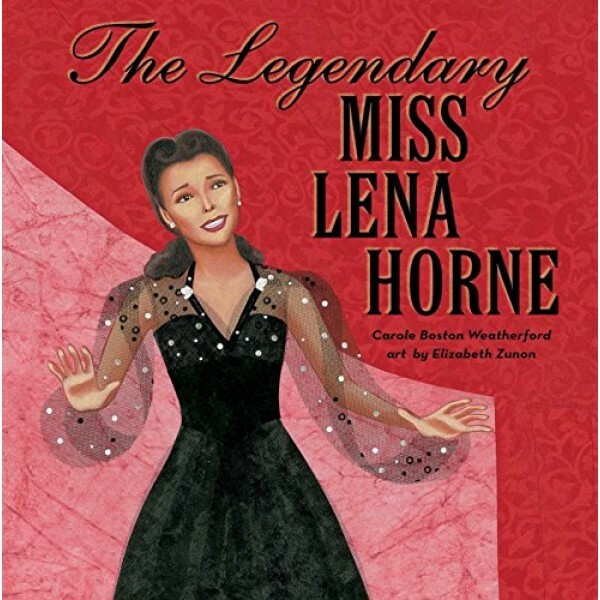 Lena Horne was born into the freedom struggle, to a family of teachers and activists. Her mother dreamed of being an actress, so Lena followed in her footsteps as she chased small parts in vaudeville, living out of a suitcase until MGM offered Lena something more -- the first ever studio contract for a black actress. But the roles she was considered for were maids and mammies, stereotypes that Lena refused to play. Still, she never gave up. "Stormy Weather" became her theme song, and when she sang "This Little Light of Mine" at a civil rights rally, she found not only her voice, but her calling. While written as a picture book, filled with stunning collage illustrations, the challenging themes and advanced vocabulary make this title most appropriate for older children who will appreciate its compelling, inspirational message.